Trainee divers get to dive the same excellent reefs as certified divers. It is common to see leopard sharks and turtles on your first dives. The Phi Phi dive center is a great place to hang out after the dive and have a drink or two with your new dive buddies. Eddy the dive center manager is always happy to help and answer your questions. Phi Phi Scuba Diving Courses are possible in more less every language, so just let us know if you prefer to do the course in your own language and we will have the right instructor available for you. Our Dive Buddy on Phi Phi island is Phi Phi Barakuda, an authorized SSI Dive Center with very good reputation. The Barakuda Dive Center meets SSI highest standards of quality, safety and professionalism, and is also licensed by the Tourist Authority of Thailand. They met these standards through focus on safe Phi Phi Scuba Diving Courses practices, first aid, safety equipment, trained and reliable dive staff and environmental awareness. With Phi Phi Barakuda you are guaranteed the high quality and safety standards that you expect from SSI professionals. All scuba diving equipment (if you have your own gear we can reduce the dive course price. Discounts are given if you do more than one scuba diving course. 10% discount off fun dives after any dive course. 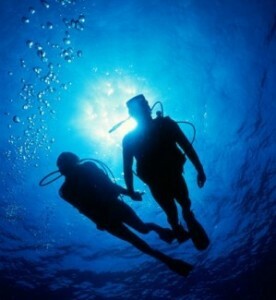 A one-day taster course, this is the ideal intro to diving. An experienced instructor will guide you through a magical underwater experience. An introduction to a whole new world! This is the most common learn to dive course. At the end of this 3 (or 4) day course you will gain certification that allows you to dive worldwide. The course includes theory, confined water training and 4 open water dives. For those short of time a 2 day Scuba Diver course can be completed and then upgraded to Open Water at another time and place. Improve your skills with this 2 day 5 Phi Phi Scuba Diving Courses. You will do a deep dive and a navigation dive. You can choose from a choice of elective dives including a wreck dive, a night dive, an underwater photography dive and many more. If you have a particular diving niche that interests you there are specialty courses that can advance your skills in that area. The most popular are Digital Underwater Photographer and Enriched Air Nitrox. Other specialties include Deep, Wreck, Navigation and Search and Recovery. The Rescue course changes your focus from yourself to the divers around you. You will learn self-rescue techniques first followed by how to help other distressed divers. This course is essential for divers seriously considering going pro and is done in combination with the PADI EFR course. With a DM / Dive Con qualification, you can lead divers underwater and assist instructors on dive courses. This is the first step on the professional level and opens up a whole new career to you, one that you can practice in some of the world’s nicest locations. This is an intensive course where the standards expected of you are higher than before. Phi Phi is a great place to do the DM course as you’ll gain experience on the full range of courses and be exposed to all dive center operations. For Phi Phi diving courses please contact us directly and let us know your wishes and needs. If you need accommodation or need transfers to and from Phi Phi please let us know and we can offer you a complete headache free package. Just use our 1-2-go contact form below.